Disagreements are meant to bring change and uniqueness into the world. Without them, we'd all have the same views and life would be dull. But, how we project our ideas is what's important. When you think you know it all is when you don't know anything. It's not possible to force someone to view things your way, and getting angry and insulting the other person is pointless. Rather, present the information you feel is correct, and let others look at it and come to their own conclusion. Only they can change their personal beliefs. Disagreements are meant to bring change and uniqueness into the world. Without them, we’d all have the same views and life would be dull. But, how we project our ideas is what’s important. When you think you know it all is when you don’t know anything. It’s not possible to force someone to view things your way, and getting angry and insulting the other person is pointless. Rather, present the information you feel is correct, and let others look at it and come to their own conclusion. Only they can change their personal beliefs. Are you constantly arguing with those around you? How can you win the debate? Let’s talk about that now. Hi everyone! We are discussing how to win a debate against someone you disagree with. 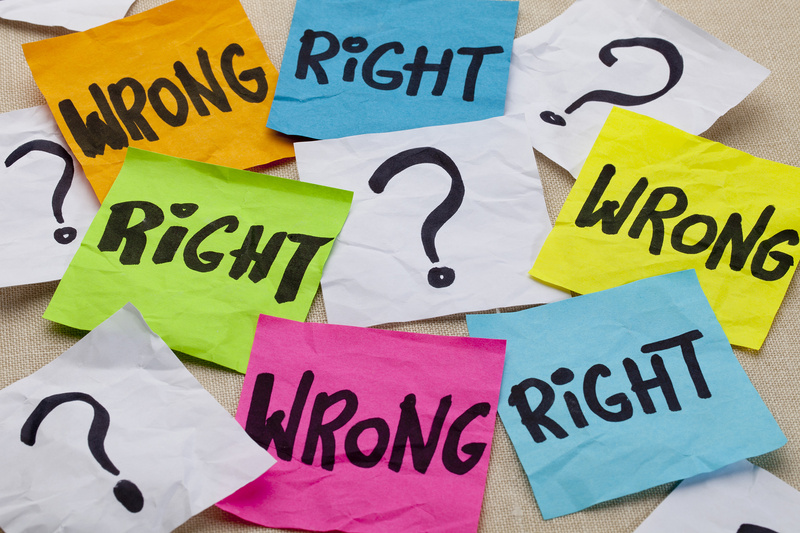 If you’re constantly arguing with someone, and you know you are right and they are wrong, how can you prove to them you are right and win the debate? The answer to this question is not as simple as it seems. Difference of opinion is a fact of life. We are all unique individuals with unique lives and ideas. Even if we agree with someone on almost everything, there could be one thing we don’t. It’s not possible to agree with someone on everything. After all, a difference of opinion is what makes the world interesting. What would be so fascinating about meeting people, learning about them and their life and uniqueness, or even starting a conversation with others if we all agree on everything and know what they would say? Disagreements are a good thing, as they help bring important topics into mainstream awareness to make change and laws. 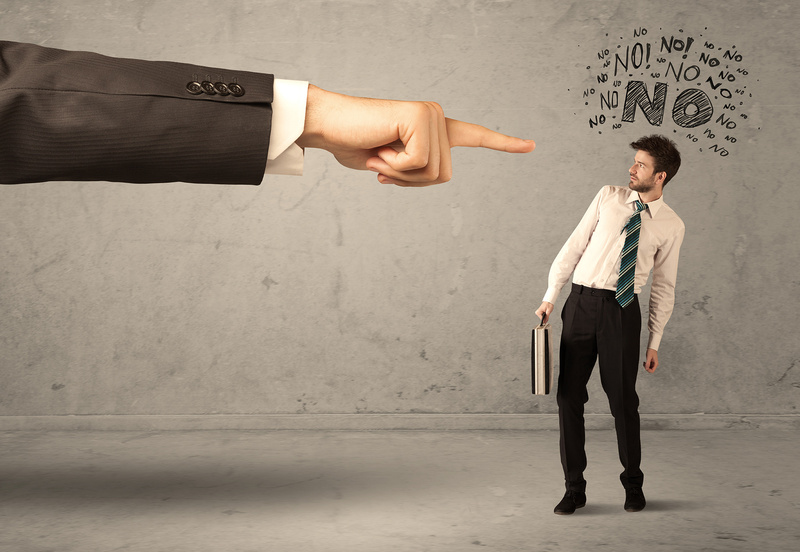 Disagreements are meant to bring opposing views to your attention so you can understand them better, learn, and dismiss them if they don’t apply to you, or accept them as new information. Opposing views are also meant to help you realize the value of connecting with those who have similar views as yours. There is nothing wrong with disagreeing with someone, especially those close to you, but how you project your ideas is what’s important. You will disagree with people and think you are right. They will disagree with you and think they are right. It doesn’t really matter because no matter what, you won’t be able to change the other person’s mind. If you go into a debate with that intent, then you’ve lost the battle right away. Rather, the point of a debate is to inform and educate, and let others decide for themselves based on the information you present them, if your view is more acceptable than their own. Ultimately, this also comes down to cognitive dissonance. When people hear something they disagree with, that questions everything they knew on a topic, they tend to deny the information presented, even if you have significant evidence. The most important thing to remember is that you cannot change anyone’s beliefs. If they hold a belief strong enough, no amount of factual information presented to them will make them think otherwise. It’s rare for people who hold a solid belief, who have done extensive studying and thought a lot about the topic, to change. Others who have a belief, but it’s not solid, may research more about the topic you both disagree on and actually uncover information that may make them reconsider their position. Some people may be irrational, rude, and inconsiderate. It’s common for people to insult one another during a debate, which is pointless since it only shows immaturity and doesn’t solve anything. Those who insult and belittle the opposing side are often not confident in their beliefs and let their emotions get the best of them. They also tend to be conceited, thinking they know the only way something can be done. We all have our own biases, and we may view our own work as superior to that of others, but it’s simply our own view and opinion. Some people you debate with will have an arsenal of links and resources at their fingertips ready for you to read to prove that you are wrong and they are right. They link to the same resources time and time again, repeating themselves, unable to have a conversation, and seem robotic. You will often see this in very rigid minded people who cannot think for themselves and rely on external sources, news, and science to answer it for them. 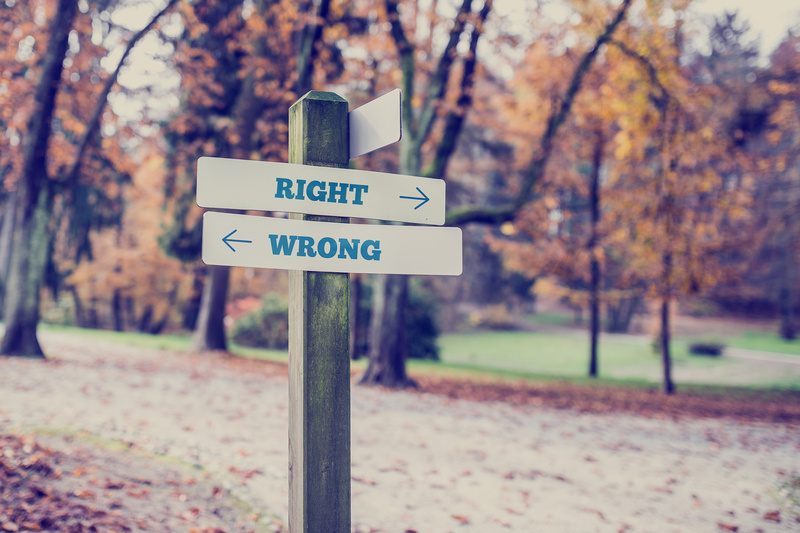 There is no such thing as ‘right’ and ‘wrong.’ As society is growing, ‘right’ and ‘wrong’ are changing. Thus, the moment when we think we have the answer is when we don’t have an answer at all. 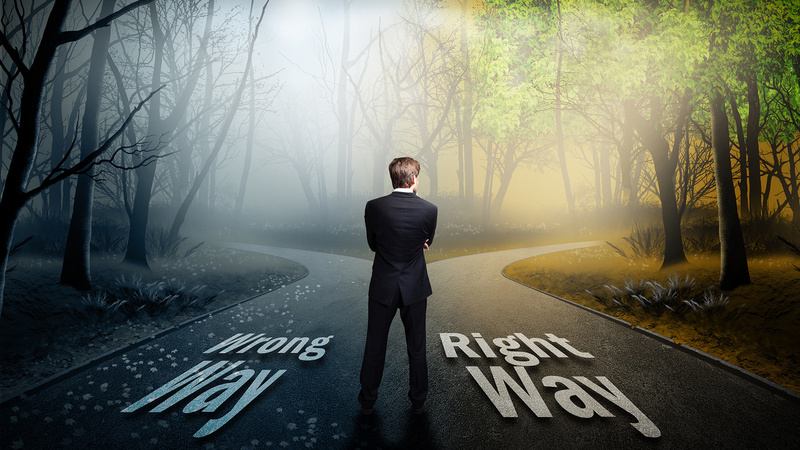 ‘Right’ and ‘wrong’ are merely perceptions that we have developed due to influences imposed on us by society, teachings, and our personal views. What we consider fact and fiction is purely an illusion we have created for ourselves in this world. One person’s reality is another’s fantasy. I’m sure we’ve all heard the phrase ‘agree to disagree.’ This essentially means that people who are in a disagreement, going back and forth, getting nowhere, can agree on one thing, that they disagree. Yet many people cannot do this, especially when they have a belief in their mind that they are right and the other person is wrong. It takes a confident and sensible person to remain calm and to agree to disagree with someone else. It’s hard to do this, so be proud that you can walk away with confidence even if the other person can’t. When you stand up for what you believe in, and vocalize your thoughts and beliefs, it’s inevitable that you will lose people close to you. You will lose some of those closest to you so you can learn and grow. You learn from what they’ve taught you, and you are able to become independent on your own. For example, if you’ve been silent about your religious beliefs for so long, and disagree with everyone around you, if may be because you fear that they would judge you. There’s nothing more difficult than having to hold back on something you know in your mind to be true when everyone else around you has opposing views. Despite how difficult it is, the moment you begin to speak up for what you believe in is when things get easier. People will be shocked, disappointed, or even angry, but you have to speak up despite all this. Even your closest friends may be disappointed with you and leave your life. If you lose people close to you due to your beliefs, they are not meant to be in your life. You will attract the right ones by being honest. There is always a decline before a rapid surge of growth. So, by speaking up and being honest about what you believe in and not automatically going along with those around you in order to please them, then you will get rid of the people who are not meant to be there and begin the process of attracting those who are meant to be there. Speaking from my own experience, I’ve been much more vocal about my personal beliefs over the past year, and of course certain people will disagree. But, I admire the people who disagree and voice their opinion, but don’t get so angry and threaten me without actually listening or doing their own research. I am thankful you are able to understand that we all have unique views in this life. That we can disagree and still be close. I am also thankful for my friends that I disagree with greatly. Even if we have opposing beliefs, we are still able to be friends. People accuse me all the time of spreading misinformation. Yet when I ask these very people what information is wrong, almost none of them reply back. Why could this be? It has to do with them disagreeing for the sake of disagreeing. If they truly think that the information is wrong, they would be able to indicate what is wrong. But they can’t because of cognitive dissonance. When I present the information to them that goes against their beliefs, they don’t know how to respond. Of course, I don’t claim to be right about everything I discuss. But everything I discuss is also publicly available information that people can find for themselves. Whether or not that is true is a debate in itself. I prefer people to find the answers themselves since only they can determine what is true and false. In conclusion, disagreements are meant to bring change and uniqueness into the world. Without them, we’d all have the same views and life would be dull. But, how we project our ideas is what’s important. When you think you know it all is when you don’t know anything. It’s not possible to force someone to view things your way, and getting angry and insulting the other person is pointless. Rather, present the information you feel is correct, and let others look at it and come to their own conclusion. Only they can change their personal beliefs. I’ve had my fair share of disagreements with people, and have even been the type to think I’m right and they are wrong. We all do this, I’m no exception, and I still do it. However, at this point I realize that I’m not right. I can argue with someone, but deep down know I’m not right or wrong, and neither is the other person. I don’t see right and wrong in the world anymore as a valid way of disagreeing with someone. This video actually came about due to some people I was talking with on Twitter that I disagreed with greatly. I actually entered into the conversation to simply stand up and speak my mind about what I thought was going on. I had no expectation of changing the other person’s opinion, but was there to see just how rigid they were. For you see, this was all a test, an experiment for me to speak up, knowing that we all have unique views, and to propose an idea to them that there is no such thing as right and wrong. Whatever way I could help these people is what my goal was. My goal was for them to open their mind and see things from a different perspective. Yet, like many others, they had a very narrow mind. They were using science as a means to prove they were right without a doubt, and that I was wrong for denying this very science. Yet, their perspective was so limited that they don’t realize that science is man-made and human discovered. As humans, we make mistakes, and thus science is limited by our own perspective and discoveries. If we found something tomorrow that changed everything we thought was real and actually made it false, then all those people would feel like a fool for trusting in their science. My goal was to help them become aware of this. When I say, “No question is wrong, we must always question,” and the response is, “There’s no question that you’re wrong” then we know the type of narcissists we are dealing with that know they are always right and those who have any opposing view are flat out wrong.